That Grus Grus is related to Tranan (common crane in English) is not only evident through the location but also through the name – Grus grus is the latin name for the bird. We sit down at the very same table where I signed the sales contract for the apartment I used to live in. That is not as strange as it may sound since this is the former premises of the Ekenstam’s estate brokerage. Now, the old fitted carpet has been replaced by genuine wood and we quickly realise that the atmosphere is as relaxed and enjoyable as at Tranan, the neighbouring restaurant from the same group. It’s really cosy, especially the ‘chambre separee’ that is available for booking. 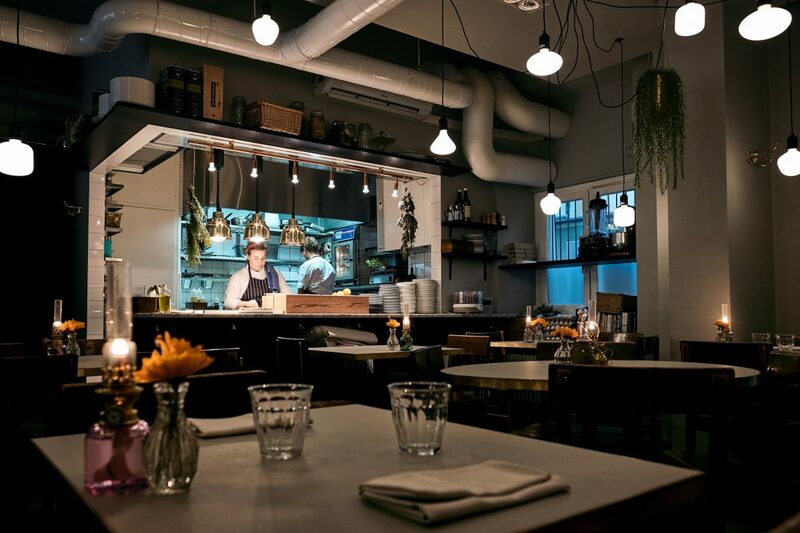 The chef Fredrika Åström has been recruited from Restaurant Portal, and together with sommelier Patricia Dominguez she’s working in ten-day cycles, with a changing menu that is in unison with the wine list. Food-wise, it’s Mediterranean-inspired mid-sized dishes, and they all come in at about 150 kronor each. We begin with a ricotta sandwich (125 kronor) with good company from a steak tartare (140 kronor) and some smaller snacks. Everything is well-made and to everyone’s satisfaction, even though we’re not exactly falling off our chairs in excitement. The steak tartare is above average but that is offset by the subpar tandoori carrot, so in the end we’re back at even. Luckily the pork cheeks (155 kronor) make everyone around the table smile, but the food is actually not the ‘main dish’ here, so to speak. We dive headlong into their star-quality wine list and have a couple of bottles (430 kronor each) that are extremely good considering the price, and we’re close to ordering more before we remind ourselves that we’re all working tomorrow. Exactly what we ordered, ate and drank is actually of lesser importance as the menu and wine list is very frequently changed. A visit to Grus Grus should be evaluated by the general impression and just like at Tranan, they have perfected the art of making their visitors stay until they really, really have to go.